Observing party at Station Posten which is located on Poston Butte. The station name was apparently mis-spelled and stamped incorrectly. 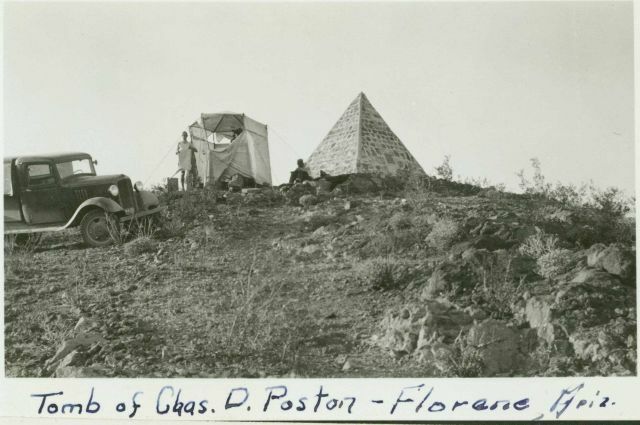 The pyramid is the fire temple of pioneer Arizona statesman Charles Poston (1852-1902) who converted to Zoroastroism. Poston is known as the Father of Arizona and is buried at this site.